In a scenario where the manufacturing space demands enhanced stability and reliability, the affinity of companies toward adopting machine vision makes it a fitting solution to the most conspicuous impediments. Manufacturers are focusing on the conjugation of the current upbeat technologies such as Artificial Intelligence (AI), and deep learning in order to enhance cost management and customer experience. Along the same lines, manufacturers are leveraging Industrial Internet of Things (IIoT); thereby glean the goodness of both AI and IoT to improve productivity. The incorporation of machine vision in the manufacturing industry can boost cost-efficiency and risk management factors with aid of a plethora of new technologies such as hyperspectral, multispectral and 3D imaging. That’s not all; the use of drones and autonomous vehicles can render a new edge to the manufacturing landscape in terms of making informed decisions and attaining guaranteed results. 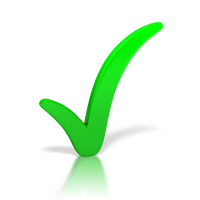 All this rounds up to the objective of equipping companies to taking wise steps and achieve greater profitability. 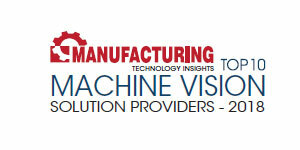 While the utilization of cutting-edge technology ensures a long-term growth for machine vision in the manufacturing landscape, it is also an uphill task for manufacturers to single out on one from the assemblage of solutions. To make this task easier, we have assessed the top companies that apply machine vision in order to solve issues in the manufacturing industry. 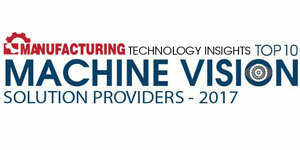 A distinguished panel comprising CEOs, CIOs, VCs, Analysts and the editorial board of Manufacturing Technology Insights has selected a list of machine vision providers.